Notification Box is one of the best Social Proof WordPress plugins with plenty of features and extensions to use. 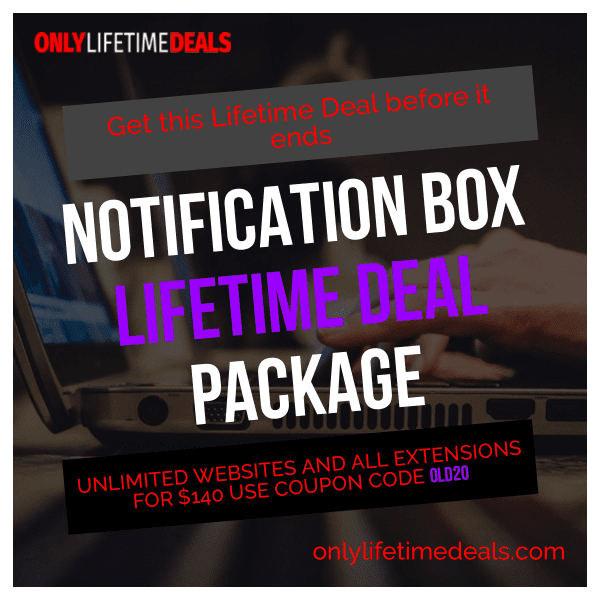 Get this lifetime deal before it ends! Use the exclusive coupon code OLD20 to receive an additional $20 off the Lifetime Deal of $160.